Essentials for the ultimate man cave of your dreams. What guy doesn’t dream of having the ultimate man cave? It’s a space all your own where you can escape and unwind. Whether it’s in the basement, and extra bedroom, garage or shed, your man cave is your space to appoint as you please, without disrupting the woman of the household’s sentiment with regard to home décor. These walls are yours, so go ahead and hang that prized deer mount or neon Chevy sign – along with these basic man cave essentials, each with their own specific purpose. The number one most important aspect of any man cave is comfort, so it should be top of mind when choosing couches and chairs. Sectional sofas offer flexibility and seating for many. You can stretch out on a sectional – they are great for naps or even sleeping overnight. For chairs, you can really sink into a good quality recliner, like it was made especially for you. Man caves are for men, so leave the soft, curvy furniture to the ladies. Instead, choose furniture that’s simple with straight lines. Leather is an excellent choice for material – it’s masculine and resistant to wear and tear. If you’ll be gaming in your man cave, plan your seating in a way that’s conducive to gaming. If you’re an avid sports fan, consider stadium-type seating. It can be a showpiece and looks awesome. If you’re a sports fan, a gamer, or both, your man cave needs at least one television. Don’t skimp on this amenity. 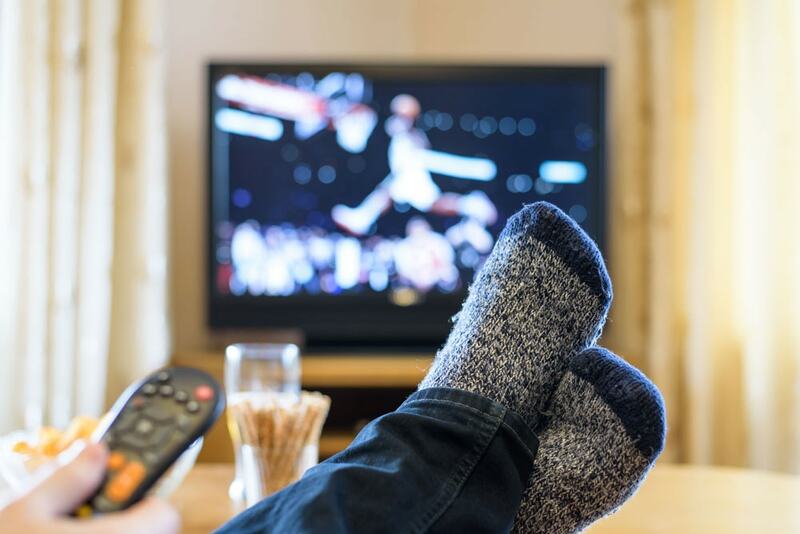 Get the largest television your budget can accommodate, or create a sports bar atmosphere by installing several televisions. The main television should be at least 55 inches, and the rest can be smaller. Mount them on the wall so they are easily viewed from almost anywhere in the cave. Avoid having to leave your cave to fetch beverages by installing a refrigerator -- or, if you and your man cave guests enjoy cold beer, a kegerator. You can make your own using an old refrigerator, and your friends will be impressed. This Wired article has instructions. A quality sound system is a man cave must have – most likely connected to your television system for an awesome multi-media environment. It can be used for playing music, watching sports and movies, and for gaming. To avoid tripping over multiple cords, consider a wireless speaker system. If you plan to invite the guys (or gals) into your man cave space, games will get everyone moving and having a great time. Some options are pool, ping pong, foosball, air hockey and darts. You can buy new or find great deals for used games on sites like Craigslist. No man cave is complete without a fireplace. Especially during the winter months, you’ll love the cozy and warm space it creates. 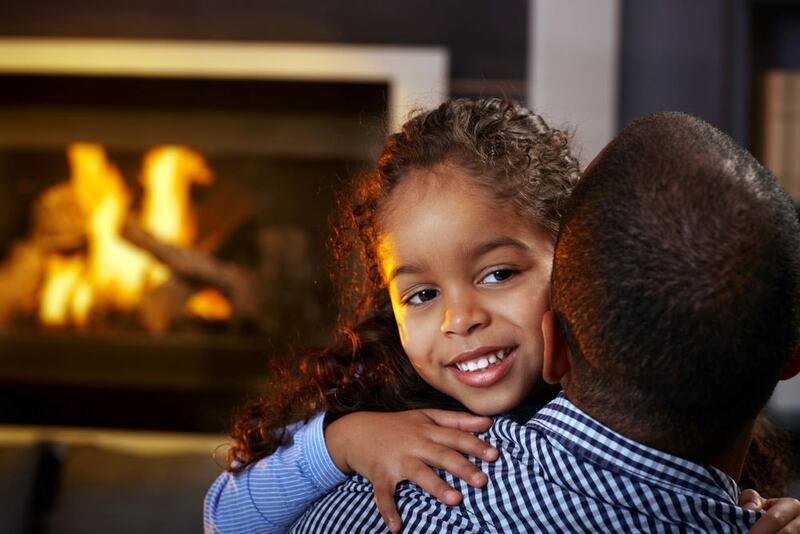 A gas fireplace or stove offers the ultimate convenience – you’ll start fires with a flip of a switch or remote control, and there’s minimal maintenance. 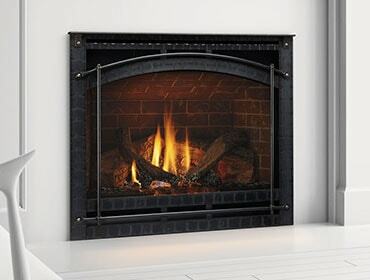 To learn more about how to choose the right fireplace or stove to complete the perfect man cave, check out these tips.